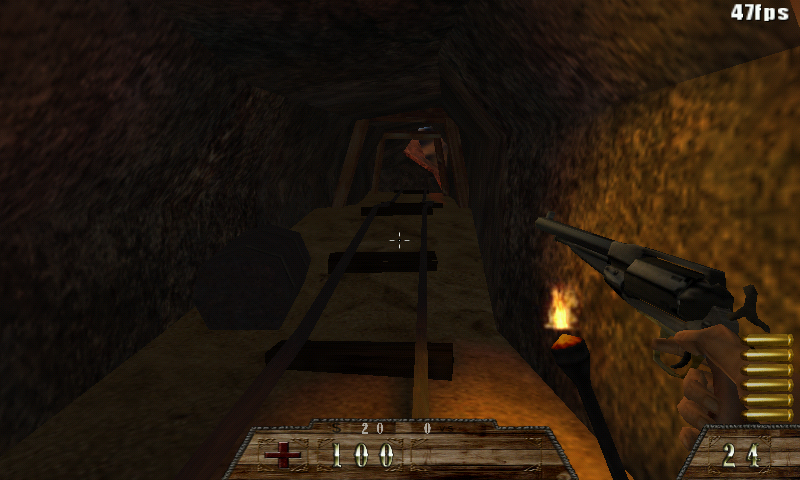 The SmokinGuns game started its life under the name of Western Quake. It was originally developed by a team known as Iron Claw Interactive. They released WQ3 beta 2.0 in 2003, after which development all but ceased. 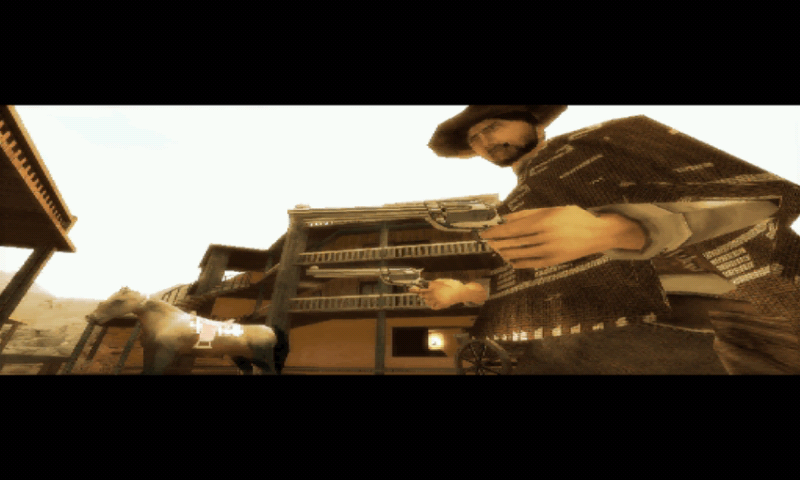 In May 2005, development of Western Quakeï¿½ was taken over of by a bunch of cowboys calling themselves The Smokin' Guns with the blessings of the former team. 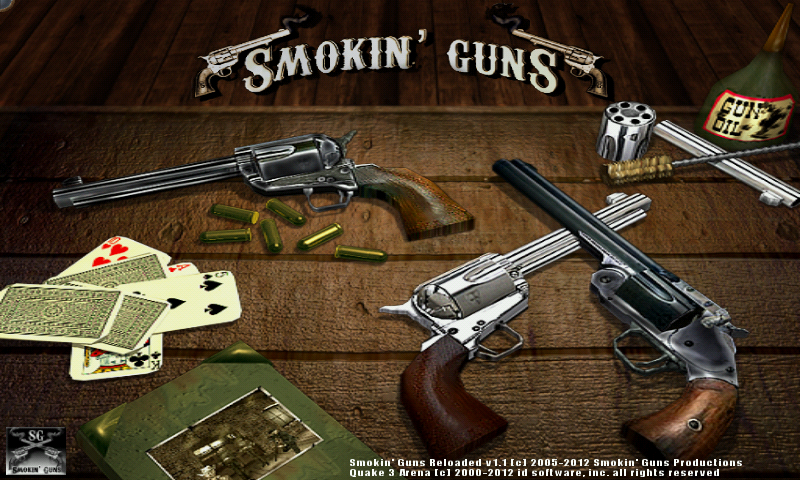 With the release of the stand alone version in 2008, the game was renamed to Smokin' Guns, and the team to Smokin' Guns Productions. Throughout this manual, anytime you see the word "we" it should be noted that "we" refers to one or the other (or both) teams. Here is Smokin'Guns, a StandAlone FPS using Quake 3 Arena engine. 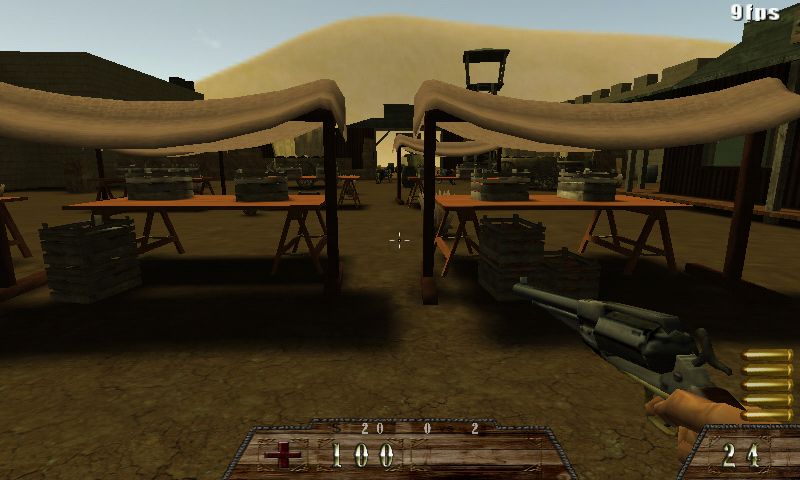 The game is an Arena oriented game set in a Western theme. It features bots also so single player is possible. You should change the default setup at first start. I have added all the customization from my other Q3A Engine ports, like Mouse Button on Shoulder (deactivable by putting the file .noshouldermb in apddata/smokinguns), Left nub as Joystick and Right nub as Mouse (changeable with the files left_nub and right_nub inside appdata/smokinguns), and a full GLES renderer. Bots are available for Single Player, but may use quite some CPU, so don't expect super high framerates on SinglePlayer. this works very well now 5/5,,,i am impressed.